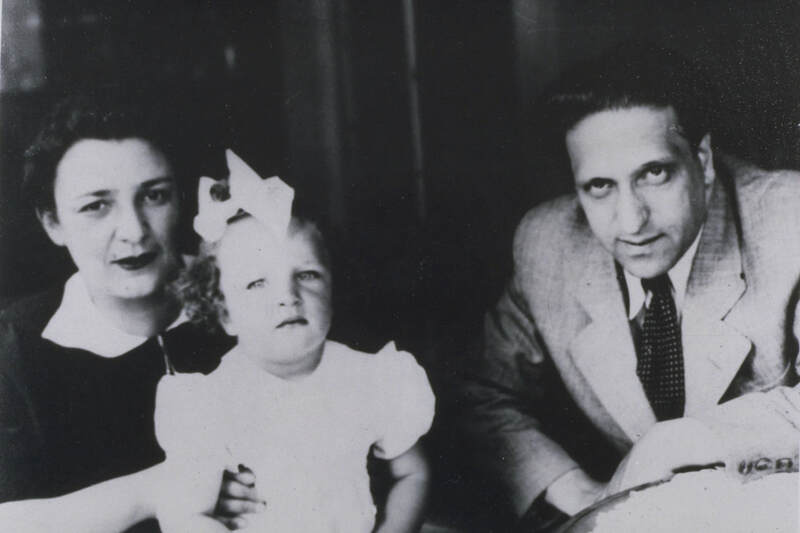 Pavel Haas with his wife and daughter before the War. a multi-media concert tribute to creativity & survival in Terezín. Pavel Haas, born in 1899 in Brno, Czechoslovakia, was the prize pupil of Leos Janacek and is known primarily for his song cycles and string quartets. He was deported to Terezín in 1941, and officially divorced his wife so that she and their child would not suffer a similar fate. With Gideon Klein, Viktor Ullmann, Hans Krasa, and others, Haas became a major figure in the camp's cultural life. He died in Auschwitz in 1944. Haas composed "From the Monkey Mountains" in 1925. The title uses the nickname of a region in the Moravian Highlands. The work was premièred by the Moravian Quartet. The first performance was not well received; in the fourth and final movement, Haas added a percussionist in combination with other unusual musical elements, and this daring experiment was not appreciated by the audience. Haas subsequently removed the percussion, though several modern performances, including this one, reinstate it. This string quartet is quite novel for its time in its use of this instrumentation as well as the international mix of Czech folk music with a pentatonic motif and a rhumba.